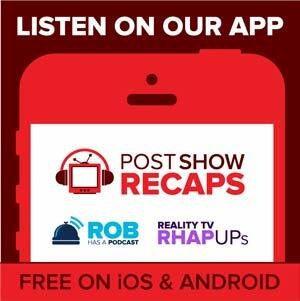 Rob Cesternino and Josh Wigler (@RoundHoward) recap the Season 4 Premiere of “The Walking Dead” entitled, “30 Days Without an Incident”. So what exactly happened to Patrick at the end of the episode? Is Patrick a zombie or did something else happen to him? What was the meaning of Rick finding the gun in the garden? Was that Rick’s gun in the garden? What is the right way to answer Rick’s three questions? What was the point of the woman that Rick met in the woods? Why couldn’t she just kill herself without Rick being involved? Why does Rick want so many more people to live with them in the jail? How is there enough food? Is Daryl’s fame in the camp going to his head? What the heck is Maggie thinking about trying to get pregnant right now? What is the backstory for the new character of Bob Stookey played by Lawrence Gilliard Jr.
What did Michonne give to Rick? What exactly takes place on the Rick’s gang high council? Will we ever see an episode where there is a council meeting? How come Rick and company have never found the store before now? How did all of those Zombies get up on the roof? How come the Zombies all started falling through the floor once people were in the store? How many more days until the next accident? What really happens at story time with Carol? Who do Rob and Josh think are the most likely people to die this half season.